This adventive fly is from Australia, though it is now found in many parts of the world where it helps control its host, the Cottony cushion scale, Icerya purchasi (Hemiptera: Monophlebidae). 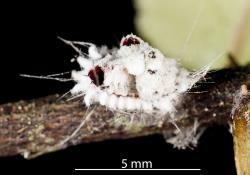 It was first sent to New Zealand in 1888 and it may now be found wherever the scale insect is living, that is on trees and shrubs in gardens, parks, and native habitats. 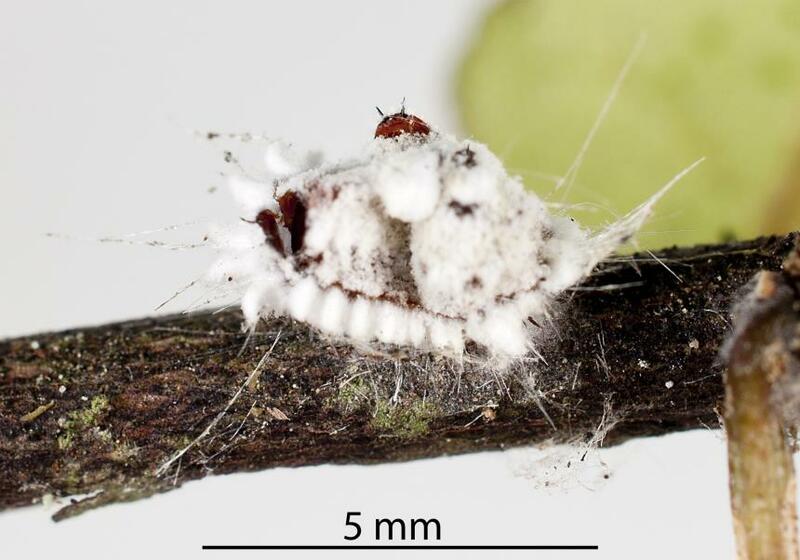 Conservation status: Helps with biological control of a potentially serious pest, cottony cushion scale. The adult fly is stout blackish-brown with clear wide wings. It has a short abdomen and large scutellum (last part of the thorax (middle part of the body). The short, large antennae on the head do not have an arista, a bristle-like structure on the third antennal segment. The fly is a parasite of Cottony cushion scale. The female fly lays an egg in nymphs and adult females of the scale insect. 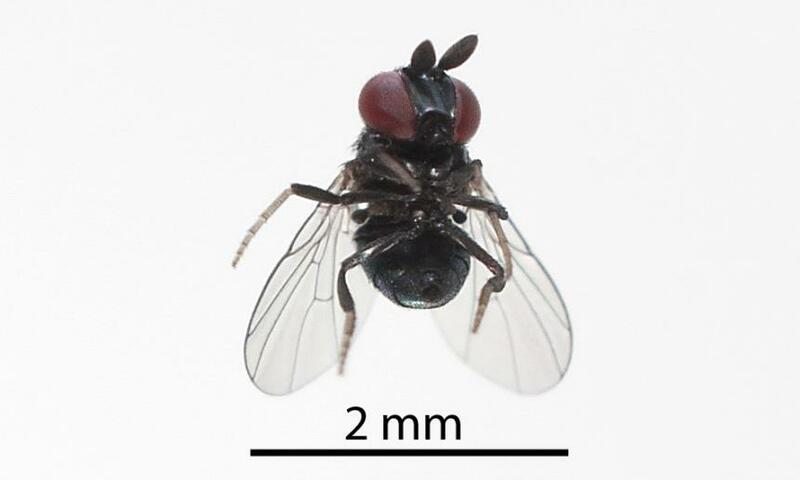 Adult flies are sensitive to heat and aridity and are most effective in regulating cottony cushion scale populations in cooler coastal areas. Time from egg to adult is dependent on temperature and in New Zealand probably varies from about 6 weeks in summer to 12 weeks in winter. An adult female fly may live up to 5 days and lay up to 50 eggs. 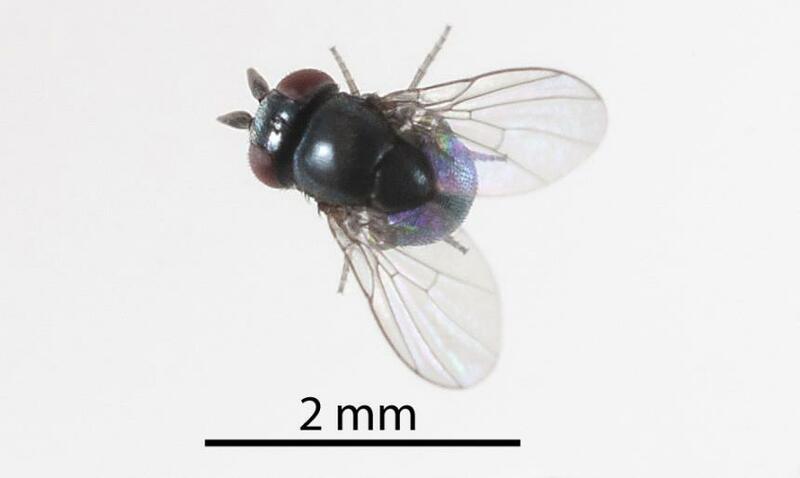 There is some variation about details of the fly's biology in the literature. Usually one egg is laid in a nymph, but up to 10 eggs may be laid in large, adult female scale. The larvae hatch from the egg and feed on the internal organs of the scale. 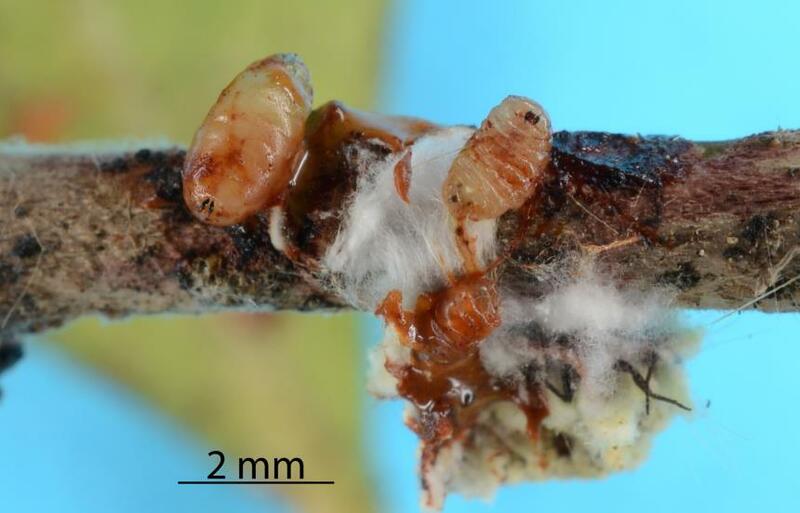 When fully grown the larva pupates in the scale insect. 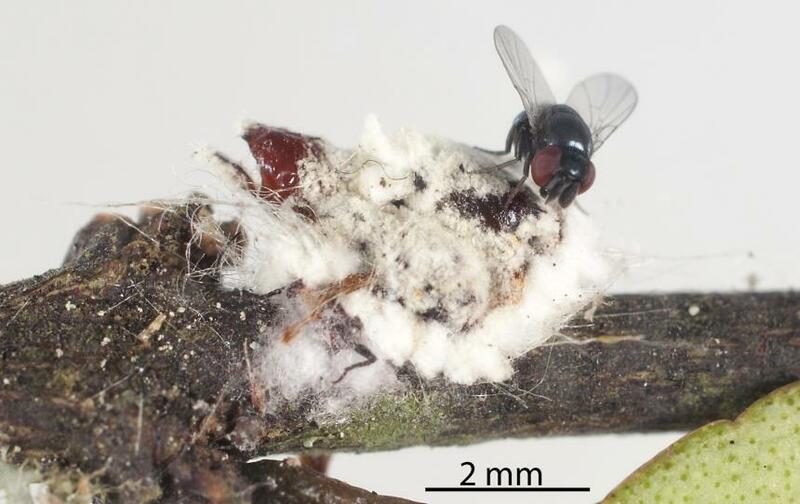 Cottony cushion scale parasitoid adult flies require specialist skills for its identification. However, the adult flies are distinctive. The body is stout blackish-brown with clear wide wings. It has a short abdomen and large scutellum (last part of the thorax (middle part of the body). The short, antennae has a large third segment with no arista, a bristle-like structure. 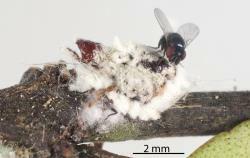 The presence of the fly can be recognised by the fly pupae in dead Cottony cushion scale insects. The presence of fly larvae in these scale insects is another sign of the parasitoid. And of course, they can be identified from flies reared from Cottony cushion scale. 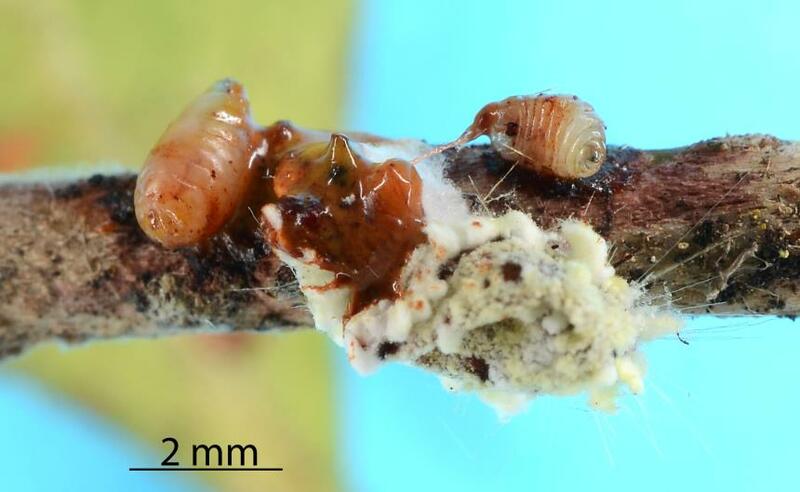 A parasitoid of the fly is present in New Zealand. This wasp, Euryischia sp. (Hymenoptera: Aphelinidae) has not been identified to species level. A species of this genus has been recorded as a parasite of the fly. 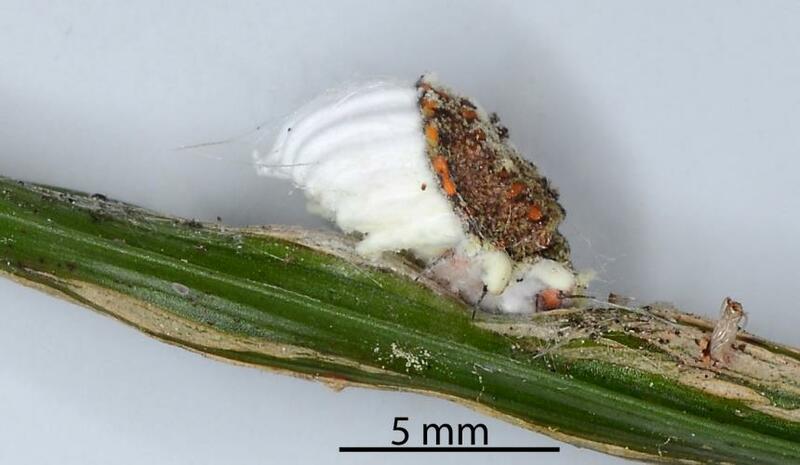 Larvae and pupae in the Cottony cushion scale parasitoid may be eaten by predators of the scale insect. 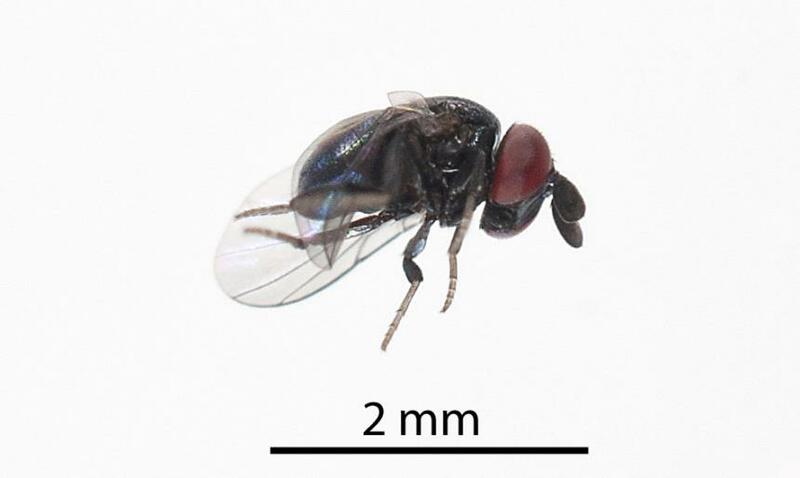 This parasitoid fly has only one known host, Cottony cushion scale. The mated female fly lays one egg into a nymph and up to ten eggs in a large adult female. The fly larva lives in the scale insect and when fully grown pupates in the scale insect. Morales CF, Bain J. 1989. 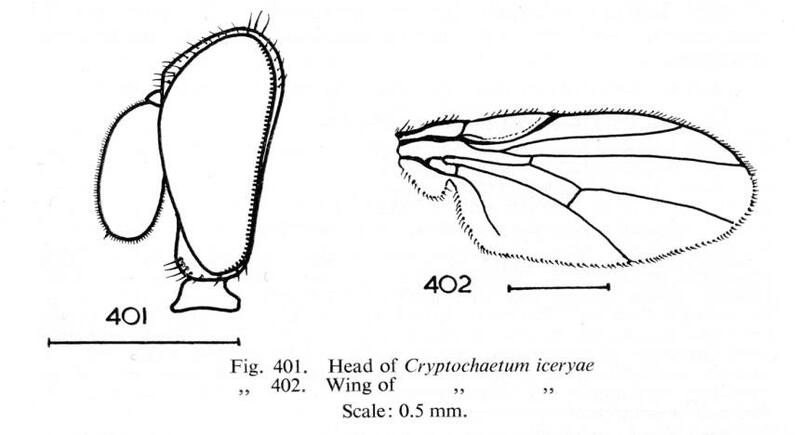 Icerya purchasi Maskell, cottony cushion scale (Homoptera: Margarodidae). In: Cameron PJ, Hill RL, Bain J, Thomas WP ed. A Review of Biological Control of Invertebrate Pests and Weeds in New Zealand 1847 to 1987. Technical Communication No. 10. Wallingford, Oxon, UK, CAB International. Pp. 207-211. Martin NA. 2018. ottony cushion scale parasitoid - Cryptochaetum iceryae. Interesting Insects and other Invertebrates. 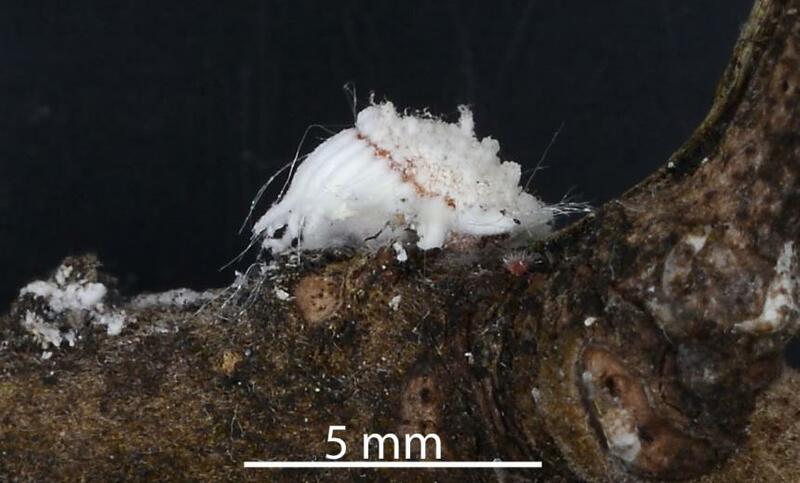 New Zealand Arthropod Factsheet Series Number 131. http://nzacfactsheets.landcareresearch.co.nz/Index.html. Date Accessed. ISSN 1179-643X.